If your time at school is a story, then who’s writing it? At Hathaway Brown, the answer is simple and profound: you’re in charge. Where most schools map out your path, HB lets you build your own story, and the Institute for 21st Century Education is one of the main ways we’ll help you do it. At its most basic level, the Institute is an assortment of programs that students can join if they so choose. 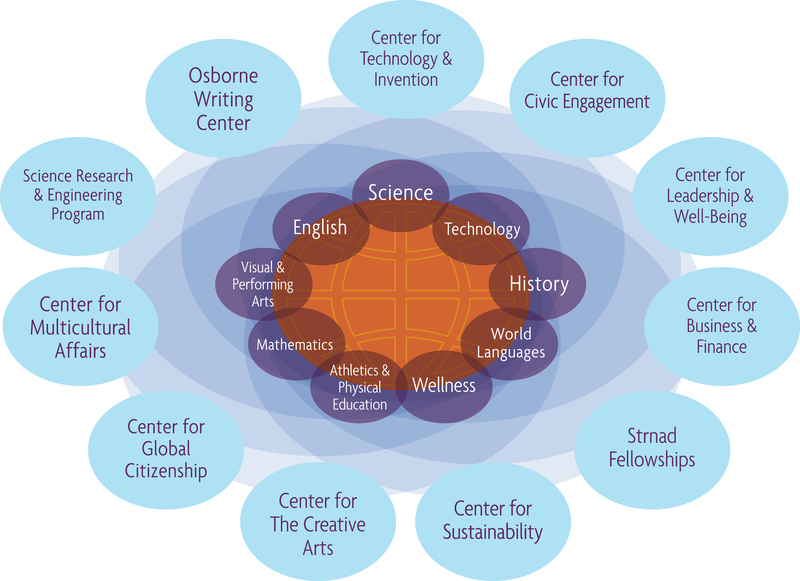 We call the programs “Centers,” and each one is related to a discipline that students explore in their core classes. Each center helps students and teachers engage with the world’s promises and problems. In the Institute, you’ll find chances to try new things and hone the skills that matter most in the world: grit, zest, resilience, social and emotional intelligence, and joy. It’s one big reason scholars like Catherine Steiner-Adair see something special in the Institute: “The HB model of education and the school culture create a very specific kind of educational experience that I believe provides girls with the traits that are most highly correlated with success." The Institute will help you map out your journey and put your imagination and muscle into transforming yourself and, through that, the larger world. You're the author of your life. Here’s your paper. Here’s your pen. Let’s get started.